In This Episode We are Focusing On Building a Career That Rocks! I am a career driven person. I like to succeed and can be very passionate about my job. 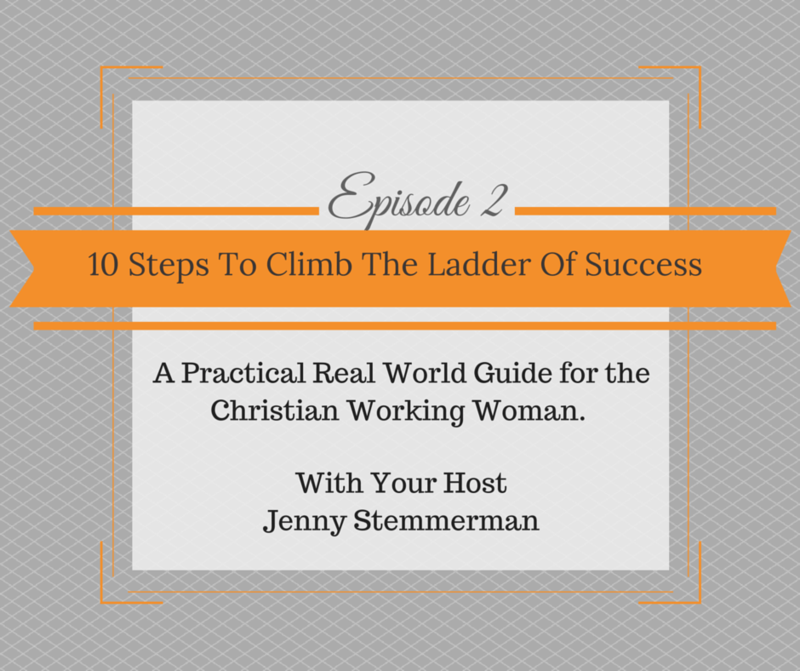 In this episode we chat about the challenges of being a Christian mom that is driven to find success with their career. I share 10 tips and tricks that I have learned over the years from mentors and from practice. These tips have helped me secure awards, promotions, and raises. I would love to hear what other tips you have to add to this list! 1. Be Prepared For Anything! What are you measured on at work? Know where you are! I am in sales, so I have to know my numbers. Whatever it is for you, take time each morning to know where your progress is against your goal. There are many obstacles that can come at you. Being prepared is key so that you don’t get thrown off your rails. I encourage you to listen to our next episode where we talk about the importance of Sunday preparation. Here is the link to that episode. How do you want others to interact with you? How do you want others to feel after working with you? Having people that you can count on and they can count on you makes a difference. People promote people they like. People give opportunities to people they like. Put yourself in situations for people to like you! Promotions are made in the bar. Don’t judge me. I got this advice from a mentor early on in my career. I use to avoid the bar after work meetings, it didn’t feel appropriate to me. Then I was told that I was perceived as too serious and that people felt that they didn’t know me. That is when I got this advice. I found a way to make it work for me and you know what the advice is true. I have seen it help me and others get ahead in their careers. In the bar is where you can get to know people that you would not otherwise work with. Here are a couple of tips that I have found make this work for me. 1. Pray for wisdom and guidance going in. 2. If you don’t drink, don’t. You don’t have to! If you do drink, be super smart. It does not matter what everyone else is doing. 3. Ask questions. People like to talk about themselves. Share a little about yourself, but let them do most of the talking. Your sharing should just be appropriate stories or tid bits that relate to what they are talking about. Over deliver on the things that are most important for your boss and your boss’s boss. 5. Find Ways to Wow. Think outside the box! It can be intimidating to share those outside the box ideas that you come up with. After all, what if they are “too” creative? That can sometimes change how you are perceived. So, here is a tip: When you think of that creative outside the box idea, couple it with two safe ideas. Don’t be tied to any of them and present the all as options. Here is a secret on why being creative and thinking outside the box is so important. It says that you can be flexible, and that you are not tied to how things have always been done. The ability to handle change is a key to being promoted. 1. Do special things for people in other departments. Could be giving them treats or taking them out to lunch. 2. Be genuine. No one likes a fake! Everyone has struggles, but it is how we deal with those struggles are what matters. Handle them with a positive attitude and do it out in the open where others can see. No one is perfect, don’t try to be. 3. Be a great leader who loves your people openly. Give them praise publicly. 8. Communication Is Your Secret Weapon. This would solve so many problems! Listening is more important than talking when it comes to communication. Listen, and watch. It will equip you to handle everything that comes your way so much easier! I know this comes more easily for others, but trust me it is worth while. So if you are a talker, zip it and listen more. If you are more quiet naturally, you do need to speak up! Remember, 2 ears and 1 mouth. Use them proportionately. 9. Know When To Stand Firm and When to Let Go. Pray for his guidance and will. Not every opportunity is meant for you. Pray and consider if what is in front of you is where he wants you to go. Follow him and you will find the success that he has for you.